This month we review a selection of movies from Empire’s 100 Greatest Movies list. Today is Number 48: The Silence of the Lambs. Some moments go beyond the movie itself, growing in fandom and status and becoming a force unto themselves. 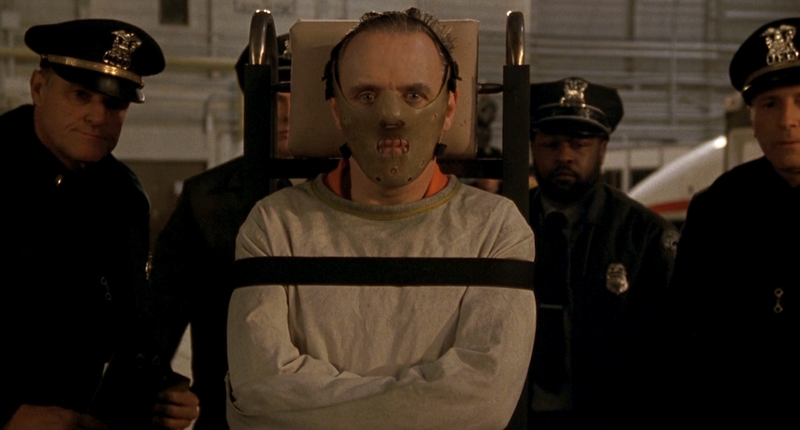 The Silence of the Lambs has that moment and it involves the first time the audience meets Hannibal Lecter. It is a masterclass in scene-setting and foreshadowing. 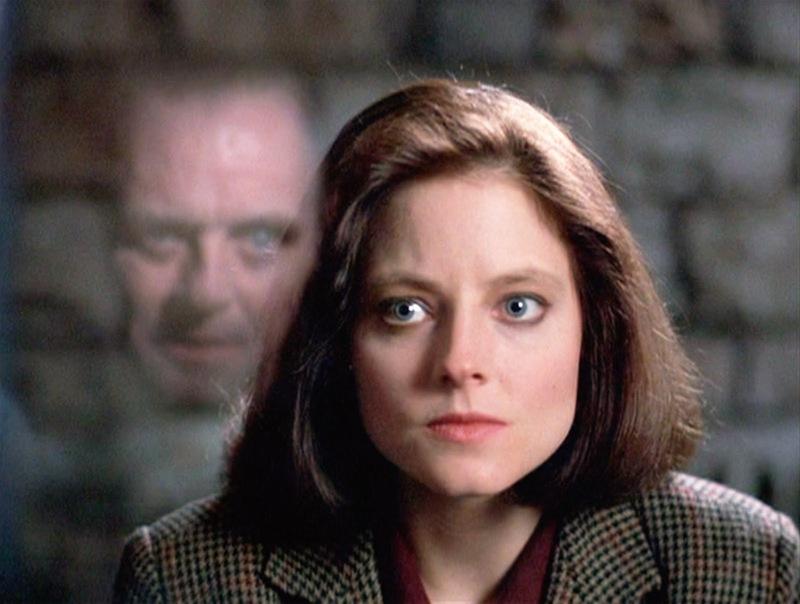 Jodie Foster’s Clarice Starling is led to meet the serial killer, and as the character moves down corridors she is told accounts and descriptions that make whoever she is about to see sound like the biggest and greatest monster of all time. This effect is doubled when the camera shows what Clarice sees and we are left with an unassuming, eerily standing Anthony Hopkins filling the “monster” void. What then follows is one of the famous conversations between Starling and Lecter, her trying to get Lecter to complete a psychological evaluation and him trying to work-out if this trainee FBI agent is worth his time. It is nothing less than compelling as both characters vie for the upper-hand. It contains that line about eating livers and entered movie legend forever. To say that you could watch a whole movie of the two characters, and the excellent actors portraying them, having these two-hander conversations is no under-statement and they make up some of the best parts of the movie. That is the best parts of a movie already full of quality. The story itself, using one serial killer to catch another, is orchestrated with great skill. How Starling and the FBI will catch serial killer Buffalo Bill and whether they can actually trust Lecter at all is a story within itself and one which keeps you hooked from the beginning. It helps that in Lecter is one of the best movie characters of all time. His introduction is fantastic but it never relents. Hopkins steals the movie. Every scene he is in is compelling and when he is not on-screen, you miss his presence, even if the rest of the cast is also incredible. It makes you feel bad for Ted Levine as the actual serial killer on the loose. As Buffalo Bill, Levine gives a terrifying performance of his own. He interactions with his kidnapped victim make your skin crawl and like all good movie villains, you are desperate for him to get captured or killed, even if it means putting your faith in Lecter’s equally as terrifying cannibal. Not that the movie was ever going to be that simple. The ending itself is also a chilling one but with it Hannibal Lecter becomes a character you could almost root for, if he wasn’t so perfectly scary. 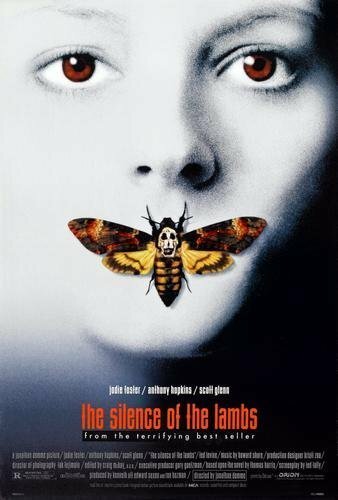 Overall, The Silence of the Lambs is a compelling, terrifying movie which holds more than a few showcase performances. Levine is excellent as Buffalo Bill, Foster shines as Starling but in Hopkins Hannibal Lecter we get one of movie’s greatest characters.